Don't let the harsh weather conditions cramp your style. 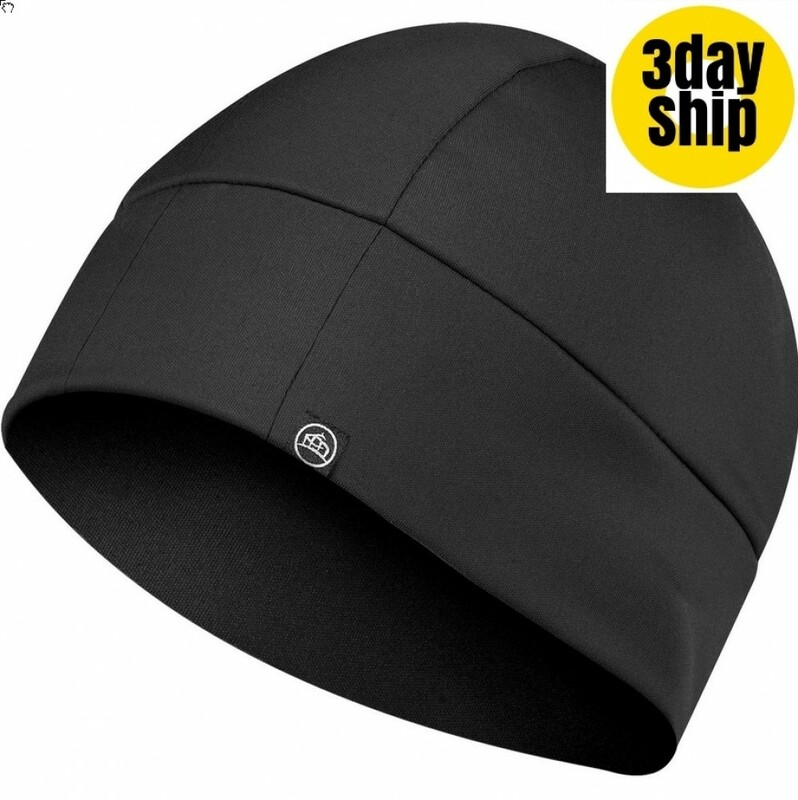 Pull on this skull cap and set off, you will be well protected from the elements. The cap is lightweight, warm and windproof, a perfect combination for outdoor enthusiasts who brave the weather running, hiking, cycling or just walking the dog. The cap is made from a polyester and spandex blend that is easily washed in cool to lukewarm water with a light detergent. Allow to air dry for perfect results. The cap comes in an imposing black and will never fade. All our caps are made to the highest standards with meticulous attention to detail and quality control. This design has flatlock stitching for added comfort and a wide band along the bottom for a secure fit. If you are a business offering outdoor apparel, you will thrill your clients when you offer these caps as a giveaway at product launches, trade shows or expos. Let us embroider your logo onto the cap for a great marketing campaign that will get you noticed around the country. Our pricing includes 8k embroidery of your personalised graphic. Embroidery can accommodate multiple colours. A once off set up of $50 applies for orders under 50 units. Please note that our pricing excludes GST. Delivery of this item is within Australia only. We deliver to all states and territories of Australia -- WA | NT | SA | QLD | NSW | VIC | TAS | ACT. Delivery is to the door and a signature is required. We are not currently able to deliver to addresses outside of Australia. Ask our sales staff about rush or bulk deliveries.